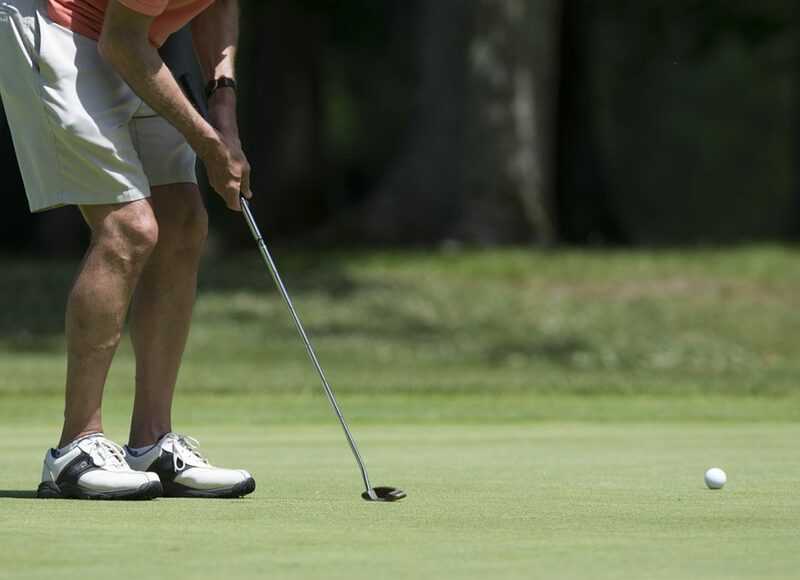 “You drive for show and putt for dough,” is a common golf axiom, but every shot Monday at Chautauqua Golf Club helped raise money for a good cause in the annual “Save the Lake” Pro-Am Tournament. Club professionals were paired with amateur golfers in a two best-ball format, with both men and women competing in teams of four. While thunderstorms rolled through Chautauqua County in the pre-dawn hours, Monday’s tournament was played in immaculate summer weather. For the fifth straight year, all proceeds from the tournament benefited the Chautauqua Watershed Conservancy. The festivities began with a shotgun start and brief welcome from head golf professional Troy Moss and conservancy President Douglas M. Larson. Each team then drove to a different hole on the sprawling course, with the tournament getting underway just after 11 a.m.
Kirk Stauffer of Bradford, Pennsylvania, carded a 66 to finish as the top professional on the day, while the foursome of Danny Kaye, Scott Christ, Bill Bernard and Mike Wimer won the team competition with a score of 126 playing best-ball. 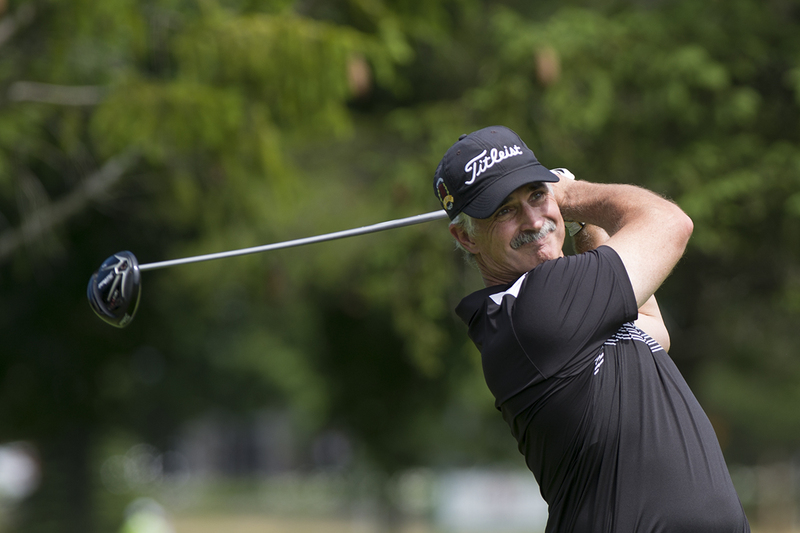 Ken Brown of Lakewood, New York, was one of many amateur golfers to take part in the tournament. A former member of Chautauqua Golf Club, Brown said he looked forward to playing the course’s challenging fourth hole. 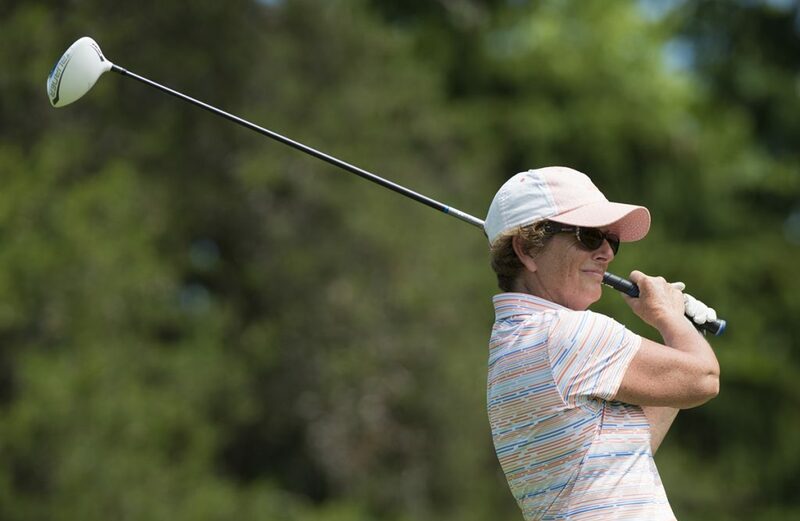 Colleen Reeve tees off during the 30th Annual Charity Pro-Am Golf Tournament on the Chautauqua golf course on June 28, 2016. The pro winner was Kirk Stauffer with a score of 66 and the winning team was Danny Kaye, Scott Christ, Bill Bernard, and Mike Wimer with a score of 128. Photos by Sarah Holm. Playing the club’s demanding Lake Course, golfers were met with several water hazards that required accuracy out of the tee box and deceptive greens surrounded by patches of trees. In the clear and sunny weather, striking views of the surrounding countryside were visible toward the end of the front nine. Information on how the conservancy works to preserve Chautauqua Lake was front and center as golfers checked in on Monday morning. Jablonski said the unique partnership was reflective of the environmentally friendly steps that both the golf club and the Institution have already taken. The tournament also provided amateur golfers with chance to improve their game and learn from some of the top professionals in the region. In past years, Brown said he discussed chipping techniques with professional golfers who took part in the tournament. Jablonski said Chautauqua Golf Club has used responsible practices to make both of its 18-hole courses as environmentally friendly as possible and maintain the health of lake. John Jablonski puts during the 30th Annual Charity Pro-Am Golf Tournament on the Chautauqua golf course on June 28, 2016. The pro winner was Kirk Stauffer with a score of 66 and the winning team was Danny Kaye, Scott Christ, Bill Bernard, and Mike Wimer with a score of 128. Photos by Sarah Holm. Austin Siegel is the recreation and youth reporter for The Chautauquan Daily. He is a journalism major at Northwestern University and a third-generation Chautauquan. Follow him on Twitter @AustinSiegel23.